PO Allergic and inflammatory disorders; congenital adrenal hyperplasia 0.5-5 mg/day. IM Allergic and inflammatory disorders As betamethasone Na phosphate and betamethasone acetate: Initial: 0.25-9 mg/day in 1-2 divided doses. Ophth Allergic and inflammatory conditions of the eye As 0.1% soln: As Na phosphate: Instill 1-2 hrly until symptoms are controlled. As 0.1% oint: As Na phosphate: Apply 2-4 times/day or at night w/ the eye drops. 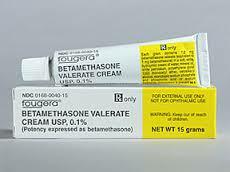 Topical Skin disorders As dipropionate (0.05%) or valerate (0.025 or 0.1%): Apply as directed. Sodium and fluid retention, potassium and calcium depletion. Muscle wasting, weakness, osteoporosis. GI disturbances and bleeding. Increased appetite and delayed wound healing; hirsutism, bruising, striae, acne; raised intracranial pressure, headache, depression, psychosis, menstrual irregularities. Hyperglycaemia, DM. Suppression of pituitary-adrenocortical axis. Growth retardation in children (prolonged therapy). Increased susceptibility for infections. Topical use: Dermal atrophy, local irritation, folliculitis, hypertrichosis. Inhalation: Hoarseness, candidiasis of mouth and throat. Topical application to the eye: Corneal ulcers, raised IOP and reduced visual acuity. Intradermal injection: Local hypopigmentation of deeply pigmented skin. Intra-articular injection: Joint damage, fibrosis, esp in load bearing joints. Potentially Fatal: Abrupt withdrawal leading to acute adrenal insufficiency manifesting as malaise, weakness, mental changes, muscle and joint pains, dystonia, hypoglycaemia, hypotension, dehydration and death. Rapid IV inj may cause CV collapse. Give daily dose before 9 AM to mimic normal peak corticosteroid blood levels. Increase dosage when patient is subject to stress. Taper doses when discontinuing high-dose or long-term therapy. Do not give live virus vaccines with immunosuppressive doses of corticosteroids. Examine area for infections and skin integrity before application. Administer cautiously to pregnant patients; topical corticosteroids have caused teratogenic effects and can be absorbed from systemic site. WARNING: Use caution when occlusive dressings or tight diapers cover affected area; these can increase systemic absorption of the drug. Avoid prolonged use near eyes, in genital and rectal areas, and in skin creases. 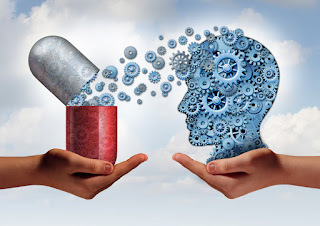 Do not stop taking the oral drug without consulting your health care provider. Take single dose or alternate-day doses before 9 AM. Avoid exposure to infections; ability to fight infections is reduced. Wear a medical alert tag so emergency care providers will know that you are on this medication. You may experience these side effects: Increase in appetite, weight gain (counting calories may help); heartburn, indigestion (eat frequent small meals; take antacids); poor wound healing (consult with your care provider); muscle weakness, fatigue (frequent rest periods will help). Report unusual weight gain, swelling of the extremities, muscle weakness, black or tarry stools, fever, prolonged sore throat, colds or other infections, worsening of original disorder. Do not overuse joint after therapy, even if pain is gone. Apply sparingly; do not cover with tight dressings.